The idea for this soup came from a restaurant I ate at in Maine over the summer. Their appetizer menu included a creamy buffalo chicken soup that I couldn’t say no to. Even though I’m pretty certain they cheaped out and used canned chicken, the soup still had a really great flavor. I wanted to re-create this soup, but try to lighten in up. I was recently reading about substitutes for cream in cooking and learned about evaporated milk. For those of you who don’t know, evaporated milk is real milk in which about 60% of the water has been removed. It has a similar consistency to heavy cream, but will save you more than half the fat and calories. 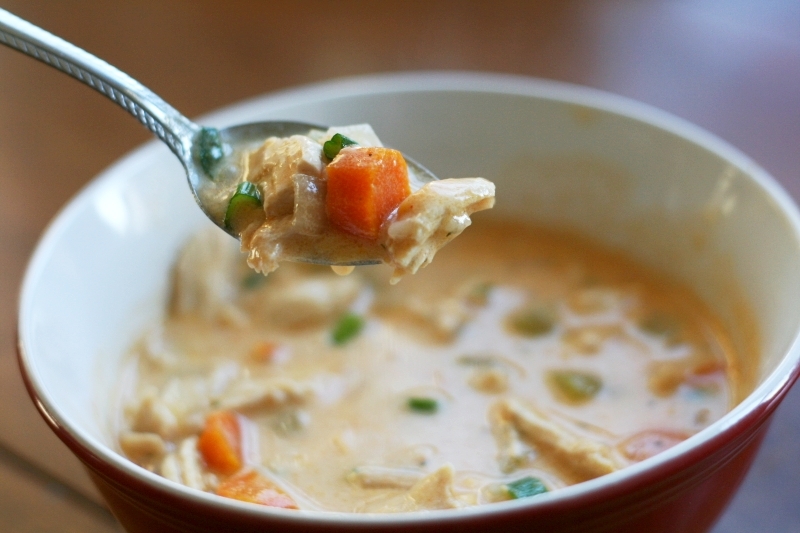 It works wonderfully as a substitute in soups, sauces, and even desserts calling for cream. It comes canned so there is some processing involved, but all in all is a great option if you’re looking to cut calories. 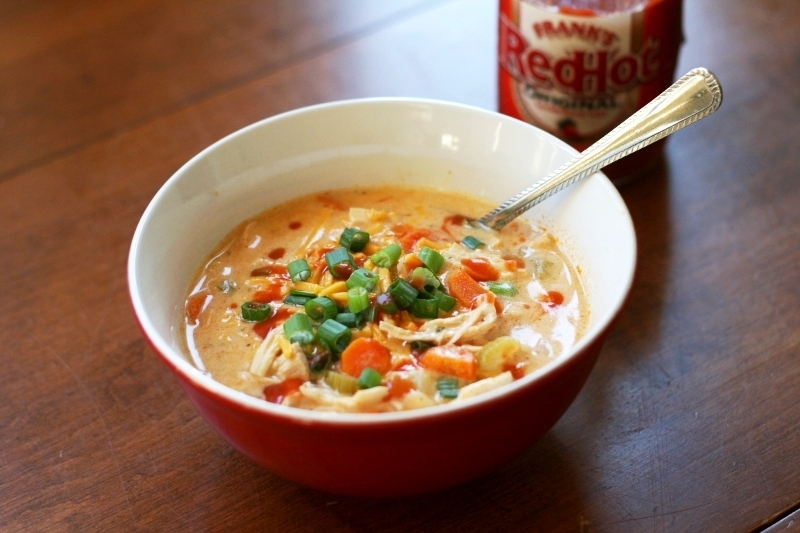 This soup is creamy, hearty, and lightly spiced with Frank’s RedHot. It comes together in under 40 minutes and makes a great weeknight meal or appetizer. 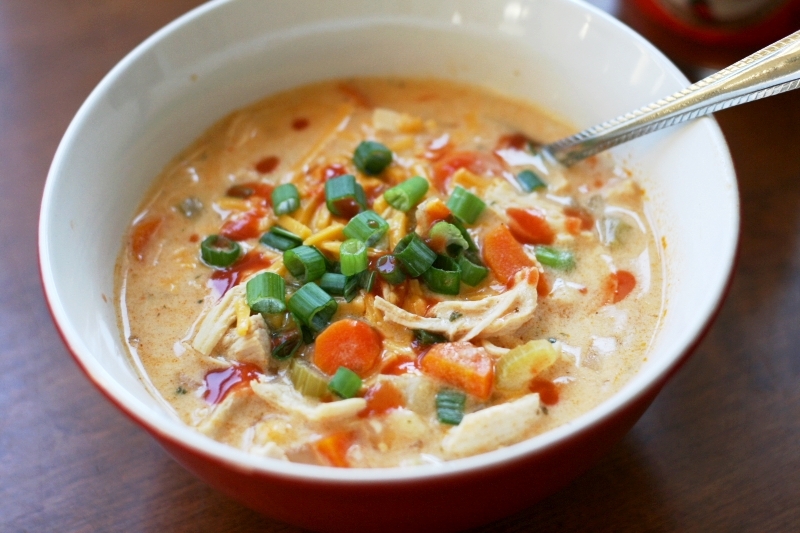 It’s perfect for chilly fall weather, or when you just need some simple comfort food. It tastes delicious served with shredded cheese and a dollop of plain yogurt or sour cream. With a satisfying flavor like buffalo chicken, it’s hard to go wrong! In a 3-4 quart cooking pot, heat 1 Tbsp olive oil over medium-low heat. 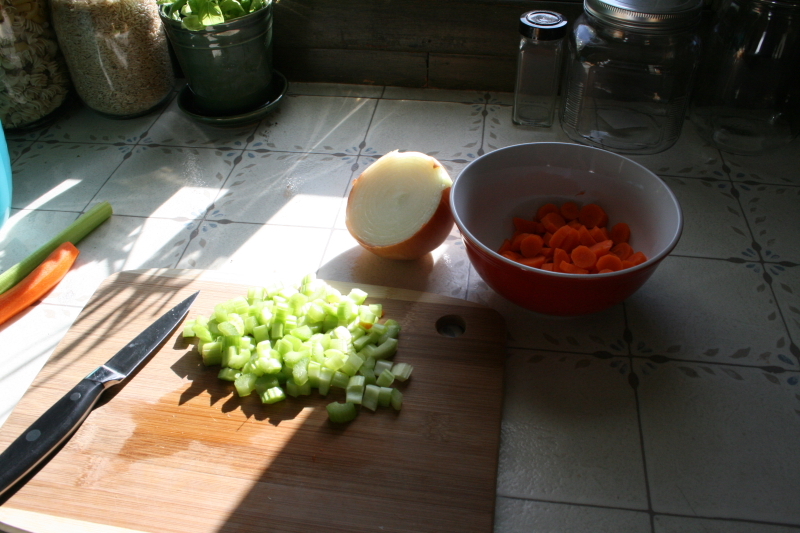 Add diced onion and carrots and saute for 10 minutes, or until softened slightly. 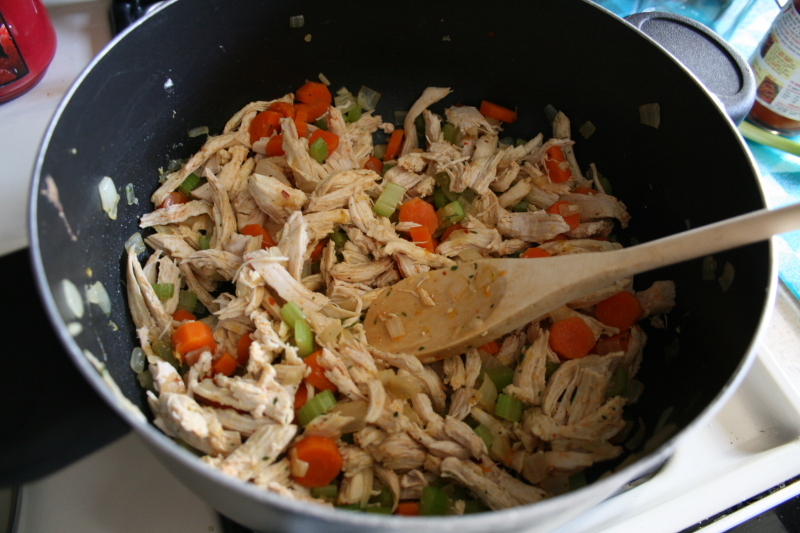 Add diced celery and garlic and continue cooking for another 10 minutes, stirring every so often. Add cooked shredded chicken, Ranch seasoning, and cayenne pepper. Stir and cook for about 1 minute, or until spices become fragrant. 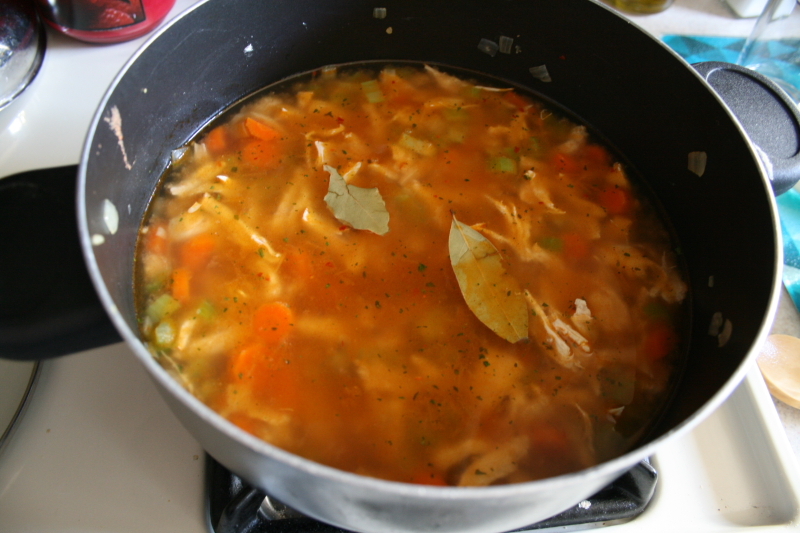 Pour in chicken stock, hot sauce, and bay leaf. 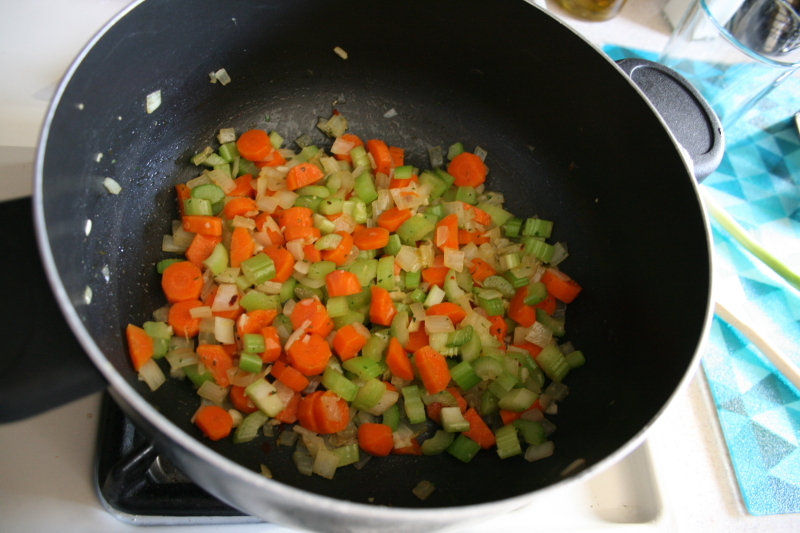 Bring to a boil, and then lower heat and let the soup simmer while preparing step 5. 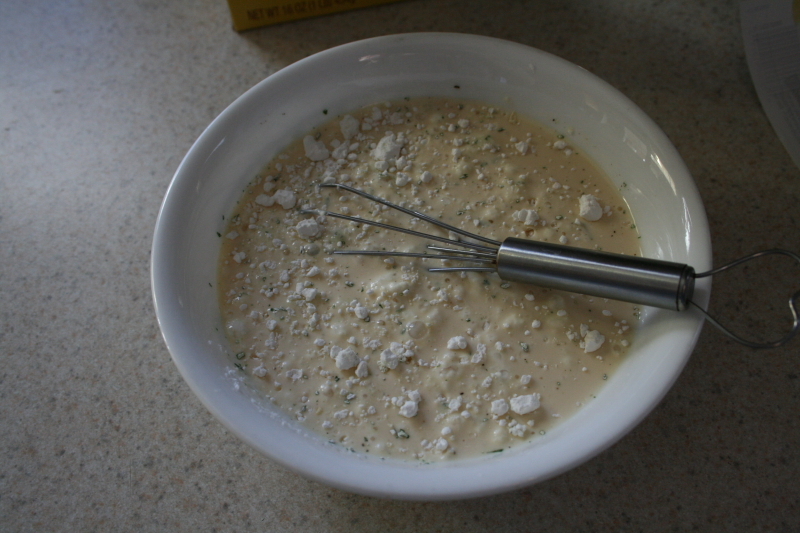 In a small mixing bowl, combine evaporated milk and cornstarch. Stir and let it sit for a few minutes, until the cornstarch has dissolved and no lumps remain. Pour milk and cornstarch mixture into soup and stir. 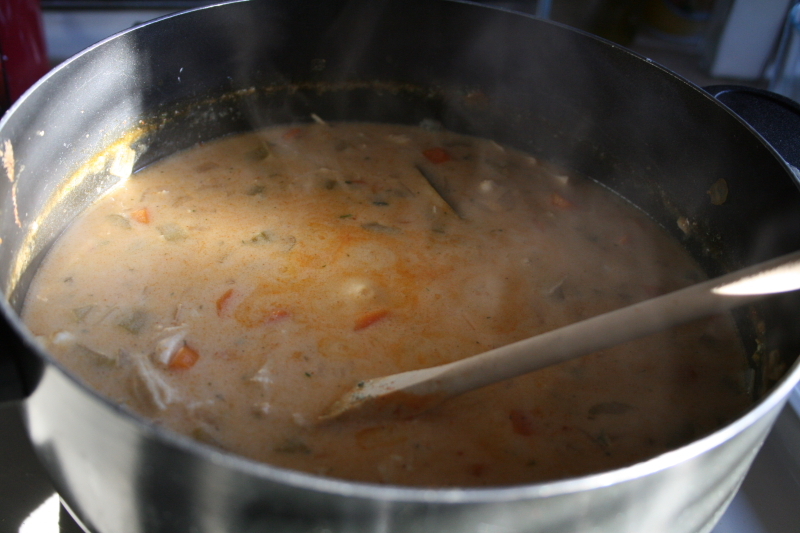 Return the soup to a low simmer and cook for another 5-10 minutes. Season with salt and pepper to taste, and serve with optional cheese, yogurt, and green onions. This looks so so SO yummy. I’m saving this recipe for sure. Thanks. 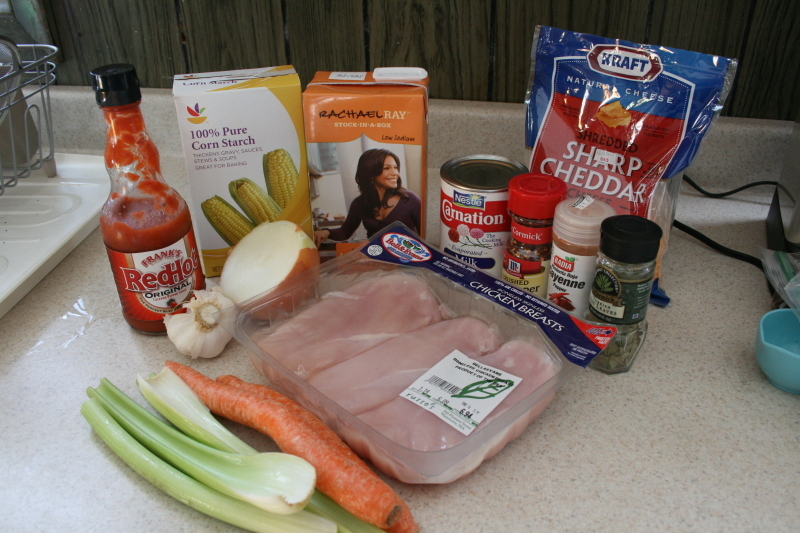 Buffalo chicken is a favorite of mine. Glad to hear that! Let me know how it turns out if you make it. 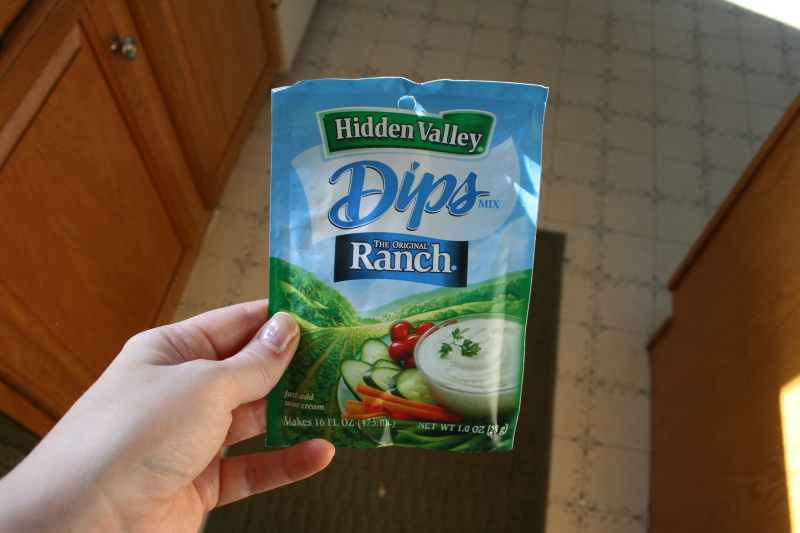 Hannah this looks great….can’t wait to try it…..maybe with a nice panini! It was pretty delicious if I say so myself! It would probably go great with a cheesy panini. Oh, this came out amazing! I ended up with 8 cups at just about 203 calories each, and they’re packed in my freezer to pack for work lunch.